As a child, I very much disliked scrambled eggs. I think I decided this in association with the airplane breakfast smells, which was very disagreeable with my stomach. So attached was I to this memory, I decidedly refused to cook or order it throughout the years. I didn’t see a need to change. In 2016 I stumbled upon a new way – THE Gordon Ramsay video – to make it and was surprised at how wrong that memory was! Now it is a fav at home and an easy weekend breakfast. 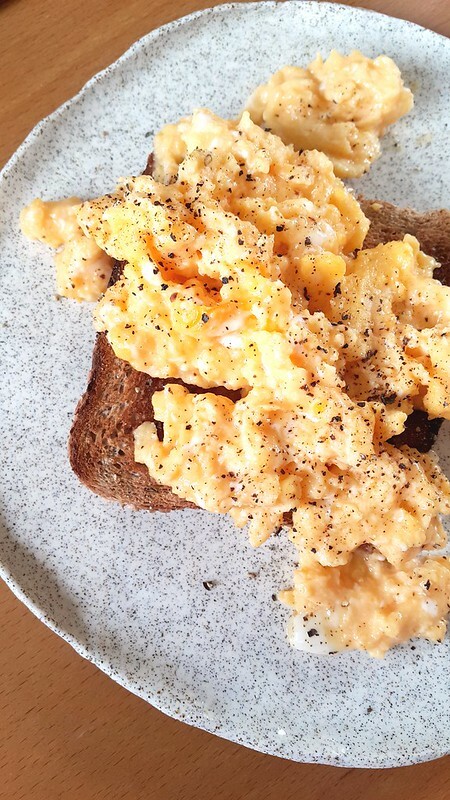 Scrambled eggs, where have you been all my life! Thank you Gordon Ramsay! Break the eggs into a cold, heavy-based pan, place on the lowest heat possible, and add the butter. Using a spatula, stir the eggs continually to combine the yolks with the whites. The eggs will take about 4-5 minutes to set and scramble – it should still be soft and quite lumpy. As the eggs set, keep moving the pan off and back on the heat to make sure the eggs don’t overcook. Add the crème fraîche and season the eggs at the last minute, then add the chives (optional). Put the toasts on warm plates, pile the softly scrambled eggs on top and serve immediately. You can stop reading here if all you were looking for is the scrambled eggs recipe. However, I am going to share some thoughts/reflections about this photo above and the year 2016. 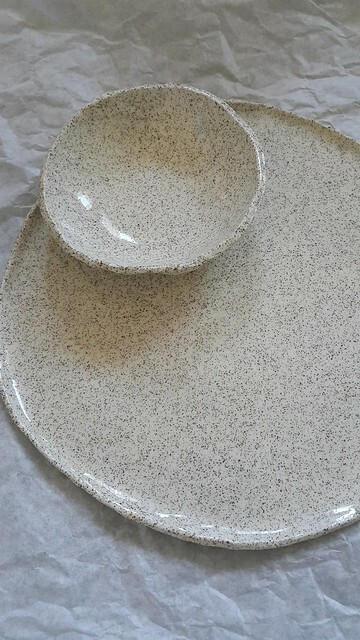 In 2016, I had a go at pottery and made these plates. The process was like nothing else. 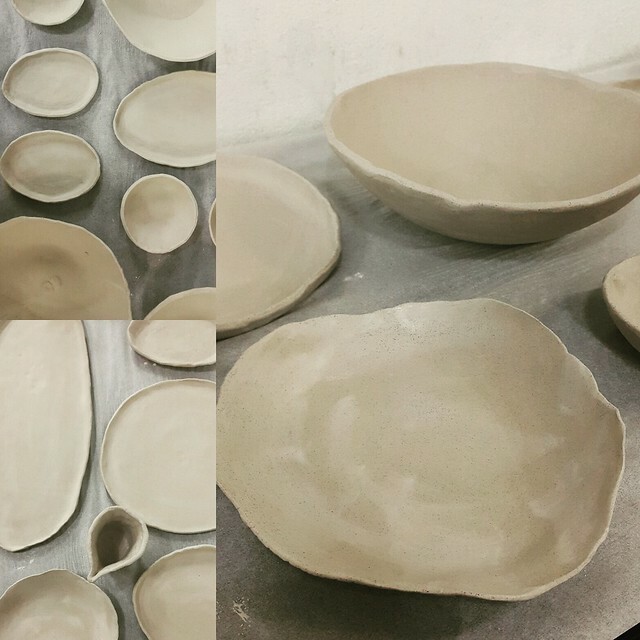 From a clump of clay to something functional. All in your hands. I was incredulous at the calmness and out-of-this-world happiness I experienced from such a hands-on activity. 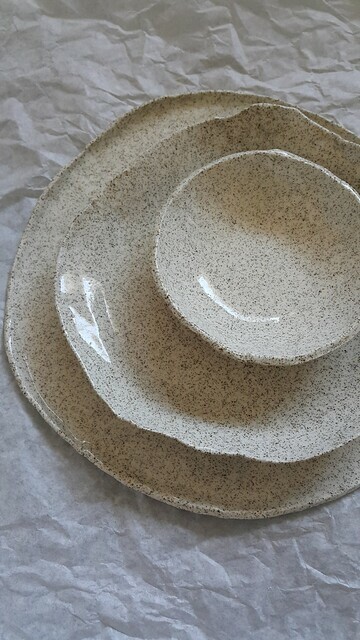 The amazing thing about it was, I could decide what to do with it, whether it is to be a plate, a bowl or a mug. It didn’t matter that it didn’t look perfect, what mattered was the learning and relieving myself of the need for it to be perfect, because that stopped me from enjoying the process. Sometimes you can’t get too comfortable. Life will be boring without constant challenges, which are all learning opportunities. I was forced to get very uncomfortable this year. It was hard with the unknown, but my faith carried me through. I accepted the learnings and faced the challenges head on, knowing that God’s grace is enough, it is always more than I ever need. I also believed in myself and that is sometimes the biggest help you can get when facing difficult situations. You will thank yourself for it.